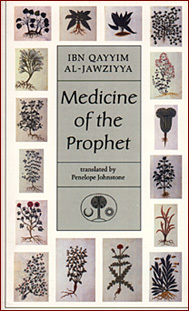 Medicine of the Prophet, authored by the great and widely-acclaimed theologian - Ibn Qayyim al-Jawaziyya (751AH-1350AH), bridges Islamic medicine and medical science together. The author has summarized Islamic prescriptions of health, prevention and cure from a collective mix of authentic resources; the Hadith (sayings) and Sunnah (lifestyle) of Prophet Muhammad sal allahu aleyhi wasallam and the wisdom from the Qur’an. The summary works in relativity with the references of medicinal views by the Muslims of the thirteenth and fourteenth century. The original Arabic text; an absolute favorite in the Muslim world, is a part of Ibn Qayyim's collective work Zad al-Maad. However, this English translation by Dr. Penelope Johnstone; a Ph.D. in the history of Arabic medicine and herbals, is a contemporary and more comprehensive version with better presentation and authentication of Hadith and Sunnah. Dr. Johnstone has undertaken field work in Syria-Jordan and spent a year with the Wellcome Unit for the History of Medicine, Oxford. 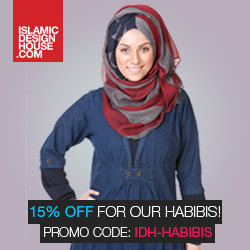 She now teaches Arabic at Oxford University. The book has been categorically written in two parts. Part I 'Medicine' introduces the definitions and kinds of sickness, prevention and cure and works its way to discuss various maladies; mental, physical and spiritual. The author has discussed, in reference to Hadith, common ailments like fevers, diarrhea, epilepsy, sciatica, headache, etc. Also, the more serious and contagious maladies like plague, leprosy, poisonous intoxication, and etc. have also been mentioned. The 13th and 14th century Arabic medicine (Tibb) has been referenced alongside to incorporate authenticity of traditional treatments like cupping and cautery and also by using rare herbs and elements. It concludes by establishing healthy etiquettes of food and drinks and way of life as prescribed by Prophet Muhammad sal allahu aleyhi wasallam in reference to authentic Hadith. Part II is an index of 'Simple Drugs and Foods'; fruits, vegetables, grains, naturally occurring and chemical elements, and other products of use. It elaborates on the benefits by suggesting wise methods of consumption/usage for extracting the best out of each provision. And highlights the harmful effects while suggesting a combination of other foods to be used along with a particular one to counter the harms. Medicine of the Prophet; while re-establishing some widely accepted medical practices of prevention and cure, tends to suggest alternative, spiritual treatments contrary to medical science but authenticated by Qur’an and Hadith, for instance a detailed chapter on preventative spiritual incantations (ruqyah) for treating evil-eye spells, magic and scorpion stings. However, no scientific arguments for and against the Islamic wisdom have been added to the original text because it is an unaltered translation preserved for providing only the authentic work of Ibn Qayyim. "I myself have found this masterly translation a significant and welcome addition to the treasury of translated Islamic medico-religious literature and to the historical and cultural heritage of Islam."